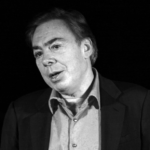 Andrew Lloyd Webber is an English composer and impresario of musical theatre. Several of his musicals have run for more than a decade both in the West End and on Broadway. He has composed 13 musicals, a song cycle, a set of variations, two film scores, and a Latin Requiem Mass. Several of his songs have been widely recorded and were hits outside of their parent musicals, notably “The Music of the Night” and “All I Ask of You” from The Phantom of the Opera, “I Don’t Know How to Love Him” from Jesus Christ Superstar, “Don’t Cry for Me, Argentina” and “You Must Love Me” from Evita, “Any Dream Will Do” from Joseph and the Amazing Technicolor Dream coat and “Memory” from Cats. In 2001 the New York Times referred to him as “the most commercially successful composer in history”. "I guess we’ve had a very close relationship because I don’t pretend to know about cinema and I think I do know a bit about theatre but he does, he respected that and so we really just had a collaboration which went completely like this."